Coming soon! 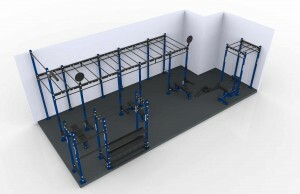 The Fitness Floor training zone will be closed from December 1st - December 11th for installation of the new Rig! The installation will occur on Dec 1st so please note that the facility may be noisier than usual that day. If you would like, we will have ear plugs at the front desk and fitness desk for your use. Q: Why are we getting the Rig? A: We wanted to provide a more functional and versatile Training Zone area to better serve our members. By adding the Rig, it is taking many pieces of equipment we already had in that area and condensing it into one system. Q: Who can use the Rig once it's open? A: Any member can use the Rig when a group training session is not being held. Days and times for these trainings will be located on the training zone calendar. If you aren't familiar with the Rig, we suggest to sign up for a group training or watch for a Health & Wellness Coach on floor coverage to assist you. Q: Why is the training zone going to be closed for 11 days? A: Installation will be on Dec. 1st. Then, through Dec. 11th, we will be training the entire DAHLC staff on proper use, form and safety requirements to prevent injuries to our members. After Dec. 11th, we will have additional floor coverage to help our members learn the Rig so we encourage you to stop by and ask questions! We look forward to enhancing your Training Zone area! Thank you for your patience!